After cumulating three consecutive victories, Caroline was facing Kellie Anne Harrington from Ireland in quarterfinals, an opponent she had already met in the past. Indeed, both boxers had faced off during the 2017 Celtic Cup in Ireland where Caroline lost a split decision (2-3) in front of the local crowd. The Montrealer was determined to obtain her revanche, but unfortunately lost by unanimous decision. For her last bout, Myriam was facing off against Nien-Chin Chen, the #1 seeded boxer in the 69 kg division. Despite a well-executed game plan and numerous clean and powerful punches, Myriam lost in a split decision (1-4) to the boxer from Chinese Taipei. Tammara was the last Canadian in the running for a medal. For her quarterfinal bout, the southpaw boxer was facing a strong opponent: Nouchka Mireille Fontijn, the world #1 ranked boxer in the 75 kg category and Rio 2016 Olympic Games silver medalist. Despite a good preparation and a height advantage, Tammara was unable to defeat the boxer from Netherland and lost by unanimous decision. 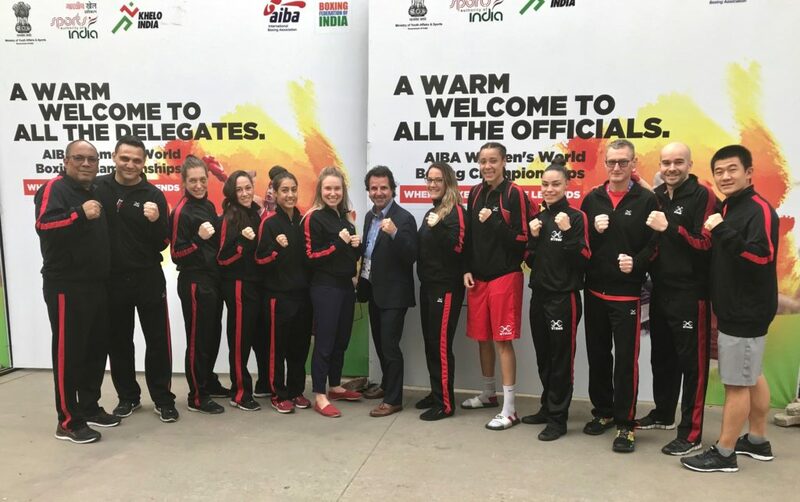 For the three other Team Canada boxers, their pathways in the competition have unfortunately come to an end of the weekend. With a by for the first round and a 4-1 victory during her second bout, Sara Haghighat-Joo bowed out by a unanimous decision against southpaw boxer, Grazieli Jesus De Sousa from Brazil. However, Sara remains optimistic about the futur holds for her. In the 57 kg weight division, Sabrina Aubin had a tough first bout to enter the competition as she had to square off against the #1 ranked boxer, Junhua Yin from China. Despite her excellent physical and mental preparation as well as a great control of the exchanges, the Canadian came out on the wrong side of a very tight 2-3 split decision against Rio 2016 Silver medalist (60kg). Marija Curran was the last Canadian to make her debut in the tournament during the 4th day of competition. Unfortunately, Canada’s 81 kg representative lost a unanimous decision against Chinese boxer Lina Wang. The Canadian team’s progression has come to an end for the 2018 edition of the World Championships. For more information regarding the results, draw sheets and more, visit our Event Webpage.